No reviews found on the web. Read our reviews. This entry was posted in Vacuum Tubes and tagged 12au7/ECC82, Mullard by tubemaze. Bookmark the permalink. 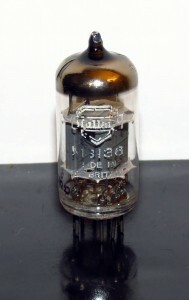 This tube is a sister tube of M8137. It exhibits the same sonic characteristics – transparent, dynamic, with awesome bass. Fantastic tube if you are looking for a modern sound. Not much coloring of a sound, but still great sound state with a touch of warmth.